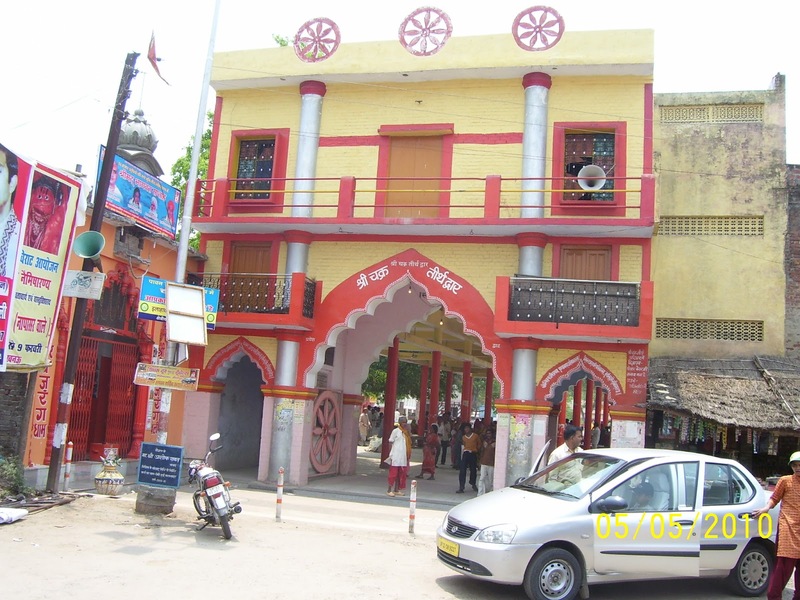 It is situated at the junction of roads from sitapur and hardoi. it is around 105 kms from lucknow. 129 kms from kanpur to Hardoi and 35 kms to naimisaranyam if you are reaching the place from kanpur. If you are reaching from delhi board any train from delhi to lucknow. Get down at hardoi. This kshetram is said to be one of the 8 swayam Vyaktha kshetrams. The other swayam Vyaktha kshetram are Sri Rangam, Srimushnam, Salagramam, Thotadri (Vaanamamalai), Tirupathi, Pushkaram and Badri. This Naimisaranya kshetram is said to be regarded as "Tapovanam". There are 9 tapovams. They are Dandakaranyam, Saindhavaranyam, Jambhukaranyam, Pushkararanyam, Utpalaranyam, Badrikaranyam, Gurujangalaranyam, Aruputharanyam and Naimisaranayam. It is belived that the perumal is found in the form of forest. And this Naimisaranyam is regarded as a holy forest. The forest is worshipped as the lord. It has got chakra theertam where the lord to demolish demons has put the sudarsana chakra. In the old age, all the Maha Rishis along with Sownakar went towards Brahma devan and asked him which is the best place suited for doing Yagam and tapas. As the answer, Brahma devan took a dharbai grasss and made it as a wheel shape and rolled the dharbai grass. Brahma devar said after he rolls the grass, the place where it stopped is said to be the ideal place for doing tapas and yagam. He rolled the wheel and it stops at a particular place in the Earth and that place is said to the place which is called as "Naimisaranyam". Nemi means chakkaram and Naimisam means the place where the chakkaram landed. Aaranyam means forest. Since Nemi, the Chakkaram which landed on Aaranya the forest, the sthalam is called as "Naimisaranyam". This Naimisaranyam is said to be the place where lots of Rishis and lots of yogis have done tapas and dhyanam and have explained the meaning of old puranas and vedams. Dont go during poornima because heavy rush is expected. If you go to sacred places where there are divine waters purified with the touch of the lotus feet of great people and kshethras where great sages, people experienced the divine presence of God and sanctified those places. Punya Kshethra or Punya Theertha is NOT the place where God is seated, because God is everywhere. God is not limited to a particular place. God is in every object and is pervaded everywhere. So why we call certain places as Kshethras ? Not because of the presence of God. But, Because, Great people stayed there, experienced God, had the vision and wanted similar vision to all the followers who come on their way. When they had the vision in a form at a place, they request God to be there for generations to come and bless the similar vision to all of them. Such places become Kshethras. Theertha is the water which purifies us. Each water drop is purified with the divine touch of the lotus feet. No doubt about it. Then why we call some of the waters as Theerthas, shrines ? 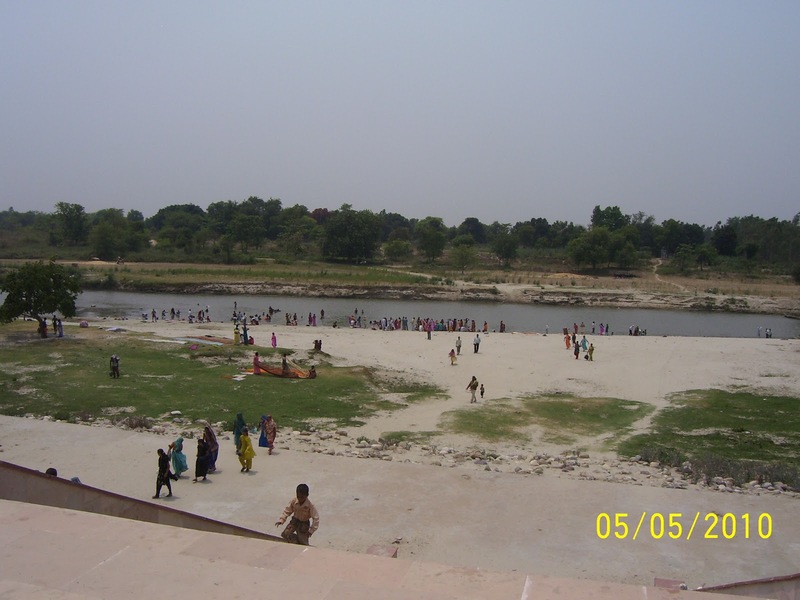 It is because great devotees visited that place, stayed for a while and purified that waters with the dust of their feet. So that water became Theertha and the place became Kshethra. Unless we see the great places like this, unless we take a dip in the sacrified waters, unless we serve great people, unless we have the attitude of seeking Truth, unless we have the eagerness to attain that divinity, interest is not generated to listen to Lord Vasudeva. This is such a great place. A very sacred place. The ultimate of Puranas, Srimad Bhagavatham starts with description of the glory of this place. This Naimisaranyam is considered as Animisha Kshethram., ie., the place of Devathas (Demigods) (Animisha = those who have no blinking to their eyes) It is said that all sages performed Deergha Sathra Ya:gam for several hundreds of years. Yajama:na is the one who makes people to perform the Ya:gam. Usually Yajama:na is the one who desires something and Ruthvik is the one who celebrates the oblations in order to fulfil that desire. Sathra Ya:gam is the one in which a person does the role of both Yajama:ma and Ruthvik. Why did the sages performed it here ? Once upon a time all the sages went to Lord Narayna and asked O’Lord ! we are experiencing several Yugas. In each of these Yugas, Dharma (righteousness) is prevailing to some extent. In the Kali Yuga, Dharma will be totally lost. But we have to survive somehow even during this period. Where can we survive ? We do not want to become the victims of Kali Yuga. Then Lord said don’t worry. I’ll send my discus and let it go. Wherever it stops that is the place where there will not be any impact of “Kali”. The divine discus went all over the world and finally when it reached this place it stopped. That place here became “Chakra Theertham”. The rim of chakra (discus) is called “Ne:mi” and as it stopped, it became “Ne:misa” in Sanskrit. Here a big forest was formed and hence this place became “Naimisaranya”. There is another name also to this place. Some people call it Ne:visa. Because, all sages come here and stay here for long long years to perform their rituals. Hence the name “Naivisa:ranya” is also mentioned in Purana. What is Aranya ? It is a cluster of a variety of trees. But, this forest is unique. According to Purana God appears not only as human but also in the form of other species. A human wishes to see the form of God in the form of a human. May be an animal wanted to see Him in its form. There are some beings which move and some which do not move like trees, mountains, stones, water. So Lord Narayana in addition to takind different incarnations like Mathsya,Ku:rma, Vara:ha etc., he also took self – attained forms (Swayam bhu:). There are 8 Swayam Bhu: Shrines. Four of them are in North India and the other 4 in Southern part of India. This Naimisaranyam is one among those in the North shrines, where Lord took the form of a huge forest. So here, each tree, each plant is the form of Lord Narayana only. In olden days there used to be many trees. 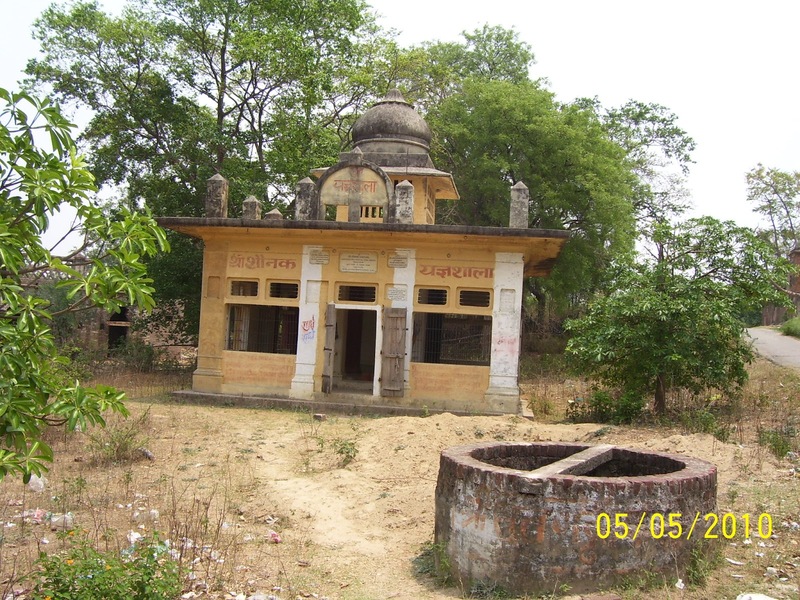 It is so unfortunate that many trees were removed and buildings were constructed and no mention of the Puranic history was displayed anywhere. Maintaining the purity of the land is also very less now a days. We need to do that and learn how to protect the purity and sanctity. If it is in other country they keep each place so neat so clean and also display the importance of the place written in many places for the information of the people so that they can learn and understand the glory and greatness of the place and experience the divinity. Let us expect that such things happen here too. In Badarikasram Lord took the form of a big mountain. Here He took the form of a big forest. In Mukthinath God took the form of small Sila (stones). In a place called Ajmir, there is a place called Pushkar, where God has taken the form of big water tank. As Prahlada said, urvya:masthi udake:shu cha:sthi udupoda:vasthi… he:pitha: thvayyasthi, maiyasthi …. Prahlada in reply to his father said, what dad, He is there is the Earth, in the Sky, in the Fire and in the Air, You are hating God is there in You, Iam loving …. In me God is there. To prove his existence, He took the form of inanimate objects and also the lifeless objects in these places. This place is free from the effects of Kali. The great sage Ve:da Vya:sa used to stay in Badari when the place is open and during other 6 months he used to stay here. Sage Veda Vyasa presented all the Puranas. His father, a great sage, Parasara taught him all the Puranic knowledge. Sage Parasara got it directly from Brahma. So Vedic literature was passed on by Parasara to Veda Vyasa and Veda Vyasa used to sit there on the banks of river Saraswathi in Badarikasramam, used to write all the Puranas, write all the Brahma Suthras, divide all the Vedic mass into different branches. Then, he wanted to delegate responsibility to some people so that they can preserve that literature. If it is given to one or two they may not be able to pass it on to generations. In the course, he taught Rig Veda to sage Pippalada, he gave to Yajurveda to Vaisampayana and he gave Sa:mave:da to his disciple Jamini and Adharvana Veda to a disciple by name Sumantha. To give the Puranic literature he chose his disciple Ro:maharsha a great scholar. Ro:maharsha’s son was Su:tha. Su:tha’s another name was Rowmaharshani. He was born to a Vyasa. He was a very very great scholar. He is the powerful narrator of all the Puranic literature. Su:tha stayed in Naimisaranya. Vedavya:sa:s disciples used to teach them to many people when Veda Vyasa was at Badari. Some disciples used to go around the world to teach this Puranic literature to all the seekers. “Gaddi” is a seat. Here is a Gaddi where Veda Vyasa used to sit and preach to the teachers. Su:tha and other teachers used to teach that literature to all the Rishis like Saunaka etc. The one who was the leader of all the Rishis and the main disciple of Su:tha was a greatest sage called Saunaka. Along with Saunaka there were thousands and thousands of Rishis staying over here. They used to learn from Su:tha and teach them to others. That was how the vedic literature was spreading all over the world. If we go to the traditional countries like Mexico, parts of Australia, parts of Newzealand, North Eastern provinces, Eastern countries like Cambodia we can see the similar tradition and customs as Indians follow. The prayers we do, the rituals we do and the process of doing these things observed even by those people, and also the structures made there are similar. Because, originally all these scriptures were taught by the same sage Veda Vyasa. Here we can see Vya:sa Gaddi, seat of Veda Vya:sa, Su:tha Gaddi, seat of Su:tha and Suka Gaddi, the seat of sage sriSuka where they sat and taught the Vedic literature in Naimisaranyam. In those days they were just some formation with stones around, under a tree. Now a days, they have constructed temples and made those Gaddis as temples. Without considered these modern changes and the other irrelevant things we observe, if we focus upon the real sanctity of the land we’ll be really blessed. Once, Balaramar, the brother of Sri Krishnar came to this sthalam. At that time, Soodhar was very busy creating puranas. He didnt notice the arrival of Balaramar. On seeing this, Balaramar got angry and hit him. He got into sin by comitting this. To get out the sin, he went to lots of Punya kshetras for an year and finally he came back to this kshetram and help the rishis and yogis, who were suffering from the frightening of a arakkan (Demon) by named “Vilvalan”. All the rishis and yogis thanked Balaramar for making them to perform tapas in peace to reach the Emperumaan. Gayasooran, an arakkan did tapas in this sthalam. Sriman Narayanan gave his seva to him as he was fulfilled by his tapas. Sriman Narayanan asked him what varam he wants as a result of complete tapas. But, Gayasooran answered the Almighty, that he didnt want any varam from him and he was so strong powerful than Sriman Narayanan. On hearing this, Sriman Narayanan send his chakra to kill the asuran and his body was cut into 3 parts. The three parts are the Siro Gaya, (the head part), the Nabhi Gaya (the middle part) and the Charana Gaya (the foot part). This sthalam, the Naimisaranyam is said to be the Nabhi Gaya. The Gaya Kshetram is said to be the Charana Gaya and Badri is said to be Siro Gaya. Offering prayers to forefathers in all these three sthalams is said to be so greatful. Thirumangai Alwar who is the only alwar who has done the Mangalasasanam on this sthala perumal explains about the life led by the human. 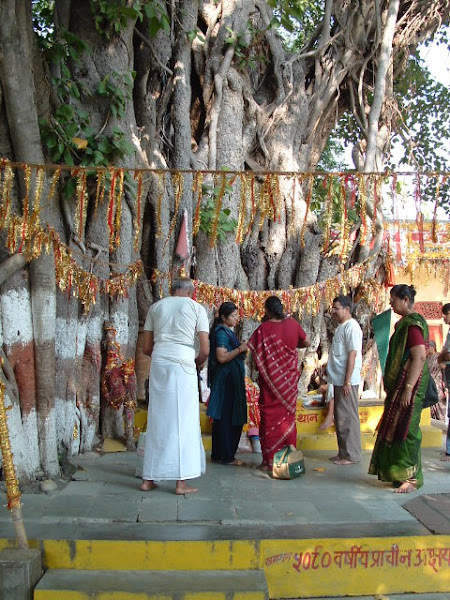 The sthala viruksham, the tree is Tapovanam and all the trees found in this sthalam are said to be sthala viruksham and because of this, the sthala viruksham is Tapovanam (Vanam means the entire forest). The Pushkarani of this sthalam are Gomukhi Nadhi and Chakkara theertham. On the shore of Chakkara theertham, separate sannadhis for Chakarathalwar, Sri Rama, Lakshmana and Seetha Piratti is found. 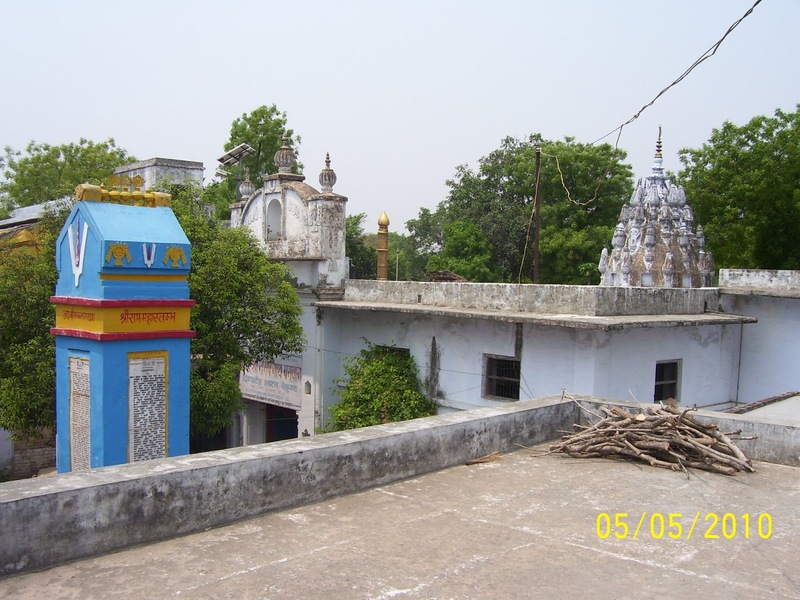 On the way to Gomukhi Nadhi, a separate temple called as “Vyasa Ghat” is found. On the other side of this sthalam, a temple for Suka maharishi is found, where Suka Bhagavan is found as the bronze statue. Near to this Suka Maharishi temple, a temple for Hanuman is found on the top of the mountains which is known as the “Hanuman Ghat”. He is found in standing position holding Sri Rama and Lakshmana in his two shoulders, in Vishwaroopa Kolam. One of Ahobila Mutt Jeyer attained Paramapadham in this sthalam and as his rememberance, his sannadhi and a mut of Ahobilam is opened in this sthalam. Ramanuja koodam, Vaanamamalai Jeeyar Mutt are also found, helping the bhaktas who come to this sthalam to get the seva of this sthalam Emperumaan. The timings for darsanam are 09:00 AM to 01:00 PM and 04:00 PM to 08:00 PM.